This house was built in the 1940’s as a two bedroom cottage in the hills of Mill Valley. 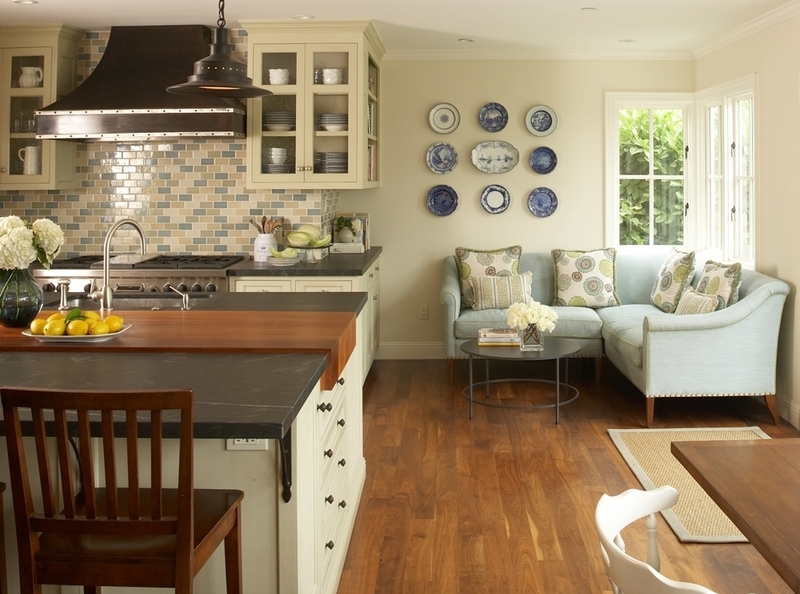 The original galley kitchen and house was in need of a remodel for a growing family. The new kitchen takes advantage of the home’s natural light and views to provide a warm and inviting space. 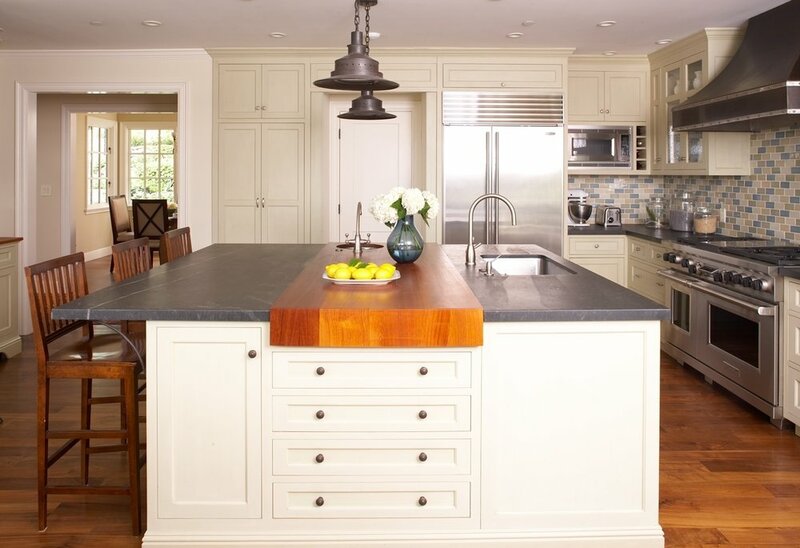 The open layout is anchored by a large island with a slab of teak between the stone slabs. 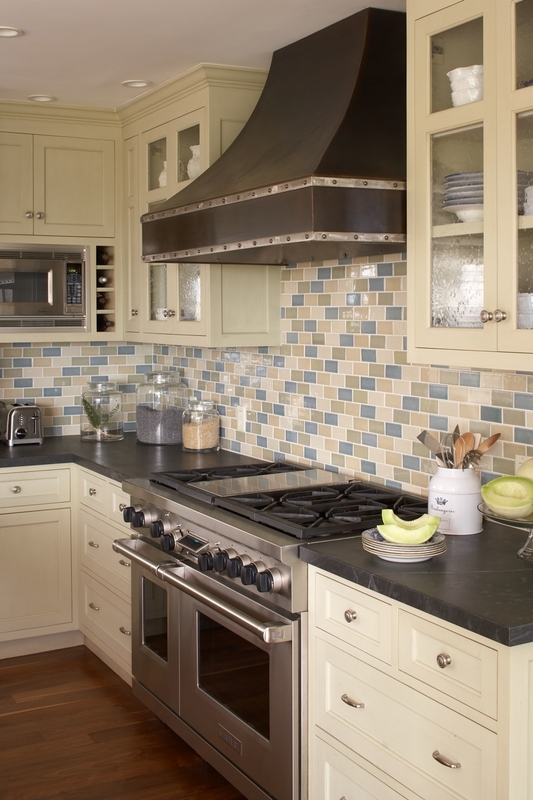 The pale green cabinets are painted with milk paint and the tile backsplash are shades greens and blues, colors selected to bring the outside in.